Apple Music Not Working On iPhone? Here's The Real Fix! You are at:Home»iPhone»Music»Apple Music Not Working On iPhone? Here’s The Real Fix! Apple Music won’t play on your iPhone and you’re not sure why. In this article, I’ll explain why Apple Music is not working on your iPhone and show you how to fix the problem for good! This may seem obvious, but it’s an important step when figuring out why Apple Music is not working on your iPhone. It’s possible that your subscription expired or that someone else with access to it cancelled it. To check the status of your Apple Music subscription on your iPhone, open Settings and tap on your name at the top of the screen. Then, tap iTunes & App Store -> Apple ID. 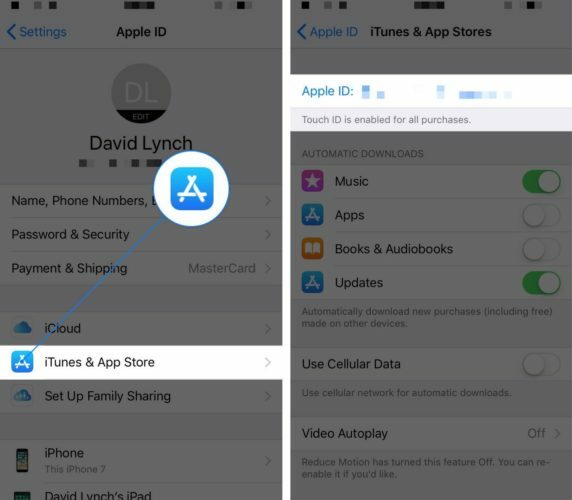 Next, tap View Apple ID and use your passcode, Touch ID, or Face ID to authenticate yourself if asked. Finally, scroll down and tap Subscriptions. 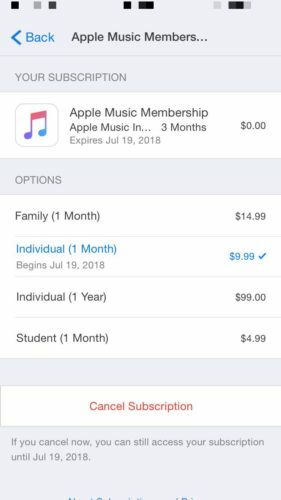 Here you’ll see the current status of your Apple Music subscription. 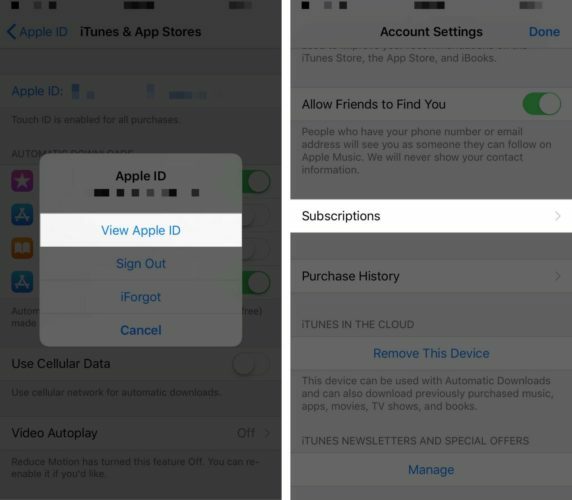 If you have multiple subscriptions, you may have to tap on Apple Music to see the status of your account. A lot of the time when something isn’t working properly within an iOS app, a minor software glitch is causing the problem. If Apple Music is not working on your iPhone, close and reopen the Music app — this can fix minor software problems. First, open up the app switcher. If you have an iPhone 8 or earlier, double-click the Home button. Then, swipe the Music app up and off the top of the screen to close it. 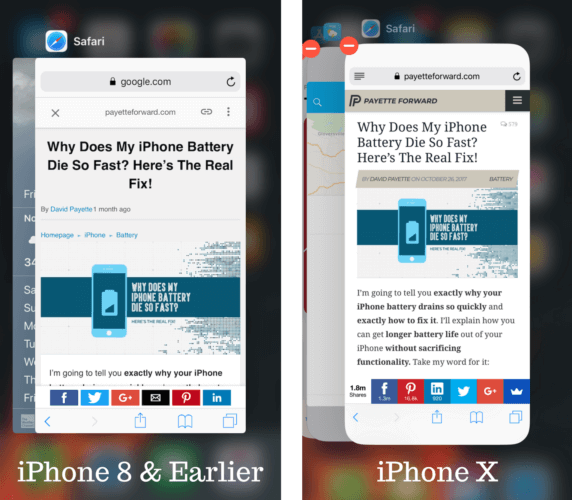 If you have an iPhone X, open the app switcher from swiping up from the bottom to the center of the display. Make sure you hold your finger in the center of the screen for a second or two. Once the app switcher appears, press and hold the Music app window until a red minus button appears in its upper left-hand corner. Now, you can either tap that red minus button, or swipe the Music app up and off the display. Next, make sure that you’ve enabled iCloud Music Library. This allows you to accesses all of the music in your Library from Apple Music. Additionally, any changes you make to your Library will automatically be updated across all of your devices. 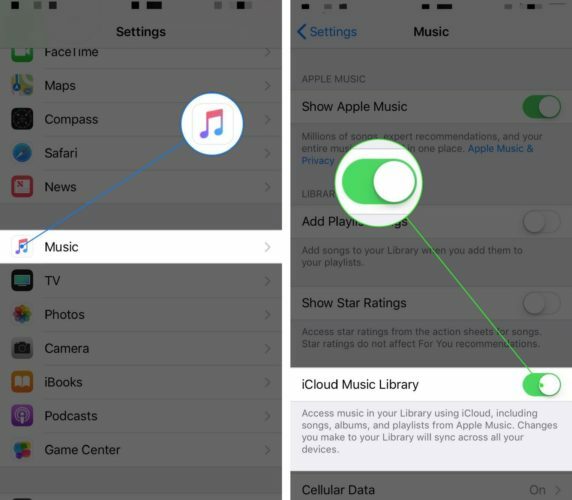 Go to Settings -> Music and turn on switch next to iCloud Music Library. You’ll know it’s on when the switch is green. 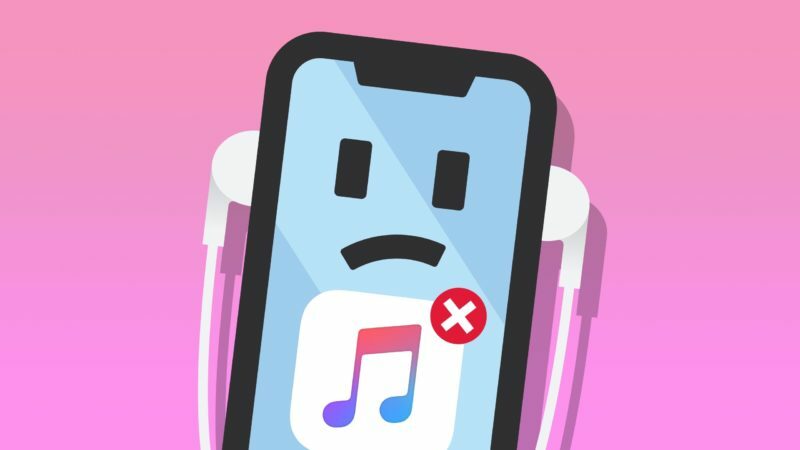 If you recently added new songs to your Apple Music account, but they aren’t showing up on your iPhone, you probably have to turn on Automatic Music Downloads. Open Settings and tap on your Apple ID at the top of the menu. Next, tap iTunes & App Store and turn on the switch next to Music. You’ll know it’s on when it’s green. If Apple Music still won’t work, try restarting your iPhone. This will give your iPhone a fresh start and potentially fix a minor software glitch causing the problem. Press and hold the power button on your iPhone and you see slide to power off on the display. Swipe the power icon left to right to shut down your iPhone. If you have an iPhone X, press and hold the side button and the volume down button at the same time to reach the slide to power off screen. If Apple Music isn’t working after you’ve restarted your iPhone, check for an update for iTunes and your iPhone. Apple releases updates for iTunes and iPhones to improve their services (like Apple Music) and patch up software problems. To check for an iTunes update on your Mac, open the App Store and click on the Updates tab. If an iTunes update is available, click the Update button to its right. If you have a Windows, open iTunes and click the Help tab at the top of the screen. Then, click Check For Updates. If an update is available, follow the on-screen prompts to update iTunes! 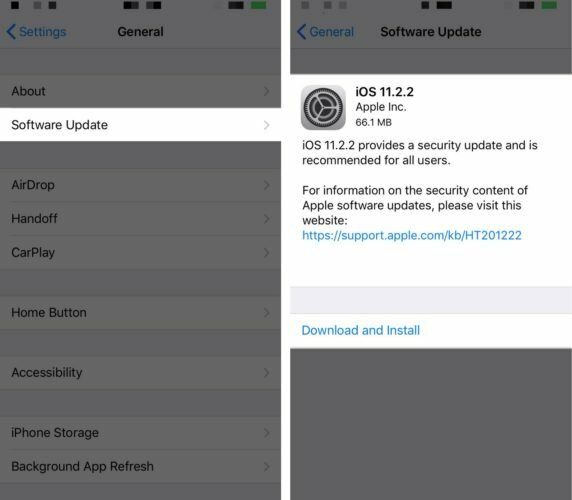 To update your iPhone, go to Settings -> General -> Software Update and tap Download & Install if a software update is available. 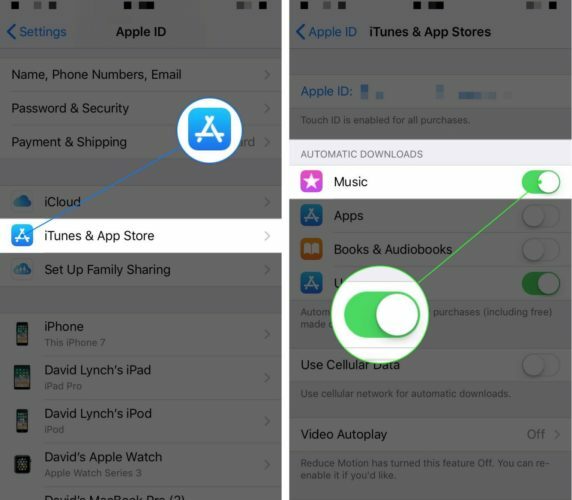 Now that you’ve updated iTunes and reauthorized your account, try syncing your iPhone to iTunes again. By now, we’ve hopefully fixed whatever issue iTunes was having that was making Apple Music not work properly. Plug your iPhone into your computer and open iTunes. The sync will begin automatically. If the sync doesn’t begin automatically, click on the phone button near the upper left-hand corner of iTunes, then click Sync. Before going any further, you may want to check Apple’s servers to see if Apple Music is currently down. This is pretty uncommon, but services like Apple Music are occasionally down as Apple does maintenance. If you see a green circle next to Apple Music, that means it’s up and running! To stream songs from Apple Music, your iPhone has to be connected to Wi-Fi or Cellular Data. We have excellent troubleshooting guides for when your iPhone isn’t connecting to Wi-Fi or when cellular data isn’t working. If you believe your connection to either of these wireless networks is causing the problem, try resetting your iPhone’s network settings. This will restore all Wi-Fi, Bluetooth, VPN, and Cellular Data Settings to factory defaults. This includes your Wi-Fi passwords, so make sure you write them down before performing this reset! Go to Settings -> General -> Reset -> Reset Network Settings. 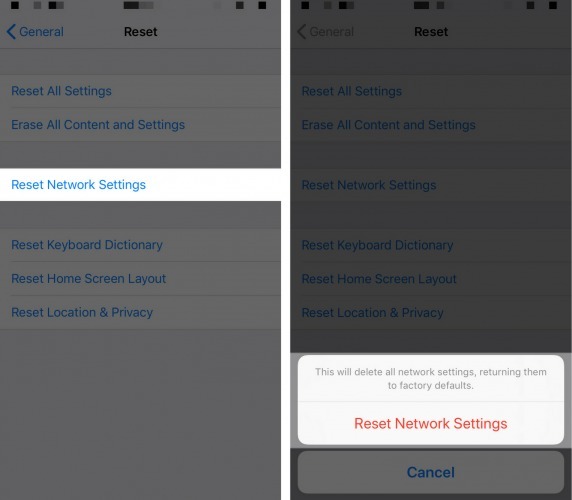 Enter your iPhone passcode and tap Reset Network Settings. The network settings will reset and your iPhone will restart. Our final software troubleshooting step is the DFU restore, the deepest type of iPhone restore you can perform. This type of restore erases and reloads all the code on your iPhone. Check out our iPhone DFU restore article for a full walkthrough! You’ve fixed Apple Music on your iPhone and you can continue listening to your favorite jams. Next time Apple Music is not working on your iPhone, you’ll know how to fix the problem! Feel free to leave any other questions you have about Apple Music in the comments section below. Previous ArticleHow To Turn Off Your iPhone Without A Power Button: The Quick Fix! Next Article Why Are My iPhone Apps Waiting or Stuck? Here’s the Fix.